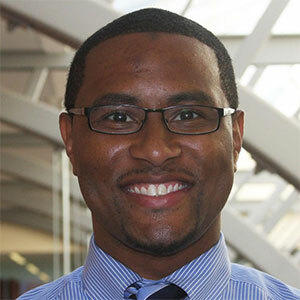 Dr. Cooper joined the Sport Management program at the University of Connecticut in August 2013. Prior to joining the faculty at UConn, Dr. Cooper served as an instructor and graduate teaching assistant at the University of Georgia while completing his doctorate. Dr. Cooper’s research agenda focuses on the nexus between sport, education, race, and culture with an emphasis on sport as a catalyst for holistic development and positive changes in society. He is a member of the North American Society for the Sociology of Sport (NASSS), North American Society for Sport Management (NASSM), and the American Educational Research Association (AERA). Dr. Cooper is also the founder of Collective Uplift (CU), an organization designed to educate, empower, and inspire students across racial and ethnic backgrounds at UConn (and the world) to maximize their full potential as holistic individuals both within and beyond athletic contexts (CU Video Link: http://youtu.be/gIj9N_M_URI). Cooper, J. N., Corral, M. D., Macaulay, C. D. T., Cooper, M. S., Nwadike, A., & Mallery, M., Jr. (2019). Collective uplift: The impact of a holistic development support program on Black male former college athletes’ experiences and outcomes. International Journal of Qualitative Studies in Education, 32(1) 21-46.
Cooper, J. N., Macaulay, C., & Rodriguez, S. (2019). Race and resistance: A typology of African American sport activism. International Review for the Sociology of Sport, 54(2), 151-181.
Cooper, J. N., Porter, C. J., & Davis, T. J. (2017). Success through community cultural wealth: Reflections from Black female college athletes at a historically Black college/university (HBCU) and historically White institution (HWI). Journal of Intercollegiate Sport, 10(2), 129-156.
Cooper, J. N., Nwadike, A., & Macaulay, C. (2017). A critical race theory analysis of big-time college sports: Implications for culturally responsive and race-conscious sport leadership. Journal of Issues in Intercollegiate Athletics, 10, 204-233.
Cooper, J. N. (2017). Strategic navigation: A comparative study of Black male scholar athletes’ experiences at a historically Black college/university (HBCU) and historically White university (HWU). International Journal of Qualitative Studies in Education, 31(4), 235-256.
Cooper, J. N., Grenier, R., & Macaulay, C. (2017). Autoethnography as a critical approach in sport management: Current applications and future directions. Sport Management Review, 20(1), 43-54.
Cooper, J. N., & Cooper, J. E. (2015). “I’m running so you can be happy and I can keep my scholarship:” A comparative study of Black male college athletes’ experiences with role conflict. Journal of Intercollegiate Sport, 8, 131-152.
Cooper, J. N., & Dougherty, S. (2015). Does race still matter? : A post bowl championship series (BCS) era examination of student athletes’ experiences at a Division I historically Black colleges/university (HBCU) and predominantly White institution (PWI). Journal of Issues in Intercollegiate Athletics, 8, 74-101.
Cooper, J. N., and Hall, J. (2014). Understanding Black male student athletes’ experiences at a historically Black university: A mixed methods approach. Journal of Mixed Methods Research, 10, 46-63.
Cooper, J. N., & Hawkins, B. (2016). An anti-deficit perspective on Black male student athletes’ educational experiences at a historically Black college/university. Race, Ethnicity and Education, 19(5), 950-979. DOI: 10.1080/13613324.2014.946491. Cooper, J. N., Cavil, J. K., & Cheeks, G. (2014). The state of intercollegiate athletics at a historically Black colleges and universities (HBCUs): Past, present, & persistence. Journal of Issues in Intercollegiate Athletics, 7, 307-332.
Cooper, J. N., & Hawkins, B. (2014). The transfer effect: A critical race theory examination of Black male transfer student athletes’ experiences. Journal of Intercollegiate Sport, 7, 80-104.
Cooper, J. N. (2014). The value of qualitative approaches in the examination of Black male student athletes. Qualitative Research in Sport, Exercise and Health, 7(3), 361-376. Gawrysiak, E.J., Cooper, J. N., & Hawkins, B. J. (2013). The Impact of Baseball Participation on the Educational Experiences of Black Male Student-Athletes at Historically Black Colleges and Universities. Race, Ethnicity, and Education,18(5), 696-722.
Cooper, J. N. (2013). A culture of collective uplift: The influence of a historically Black college/university on Black male student athletes’ experiences. Journal of Issues in Intercollegiate Athletics, 6, 306-331.
Cooper, J. N., & Hawkins, B. J. (2012). A Place of Opportunity: Black Male Student Athletes’ Experiences at a Historically Black University. Journal of Intercollegiate Sport, 5, 170-188.
Cooper, J. N. (2012). Personal Troubles and Public Issues: A Sociological Imagination of Black Male Student Athletes’ Experiences at Predominantly White Institutions. Sociology Mind, 2( 3), 261-271.